The claws on a crawfish are always moving. 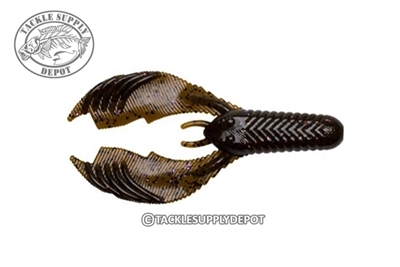 Likewise, the claws on the YUM Craw Chunk are oversized yet thin, with thicker ribbed ends so they undulate with every movement of the rod or smallest breath of current. They're attached to a realistic, meaty, body perfect for use as a jig trailer or for flippin' and pitchin' on a Texas rig.